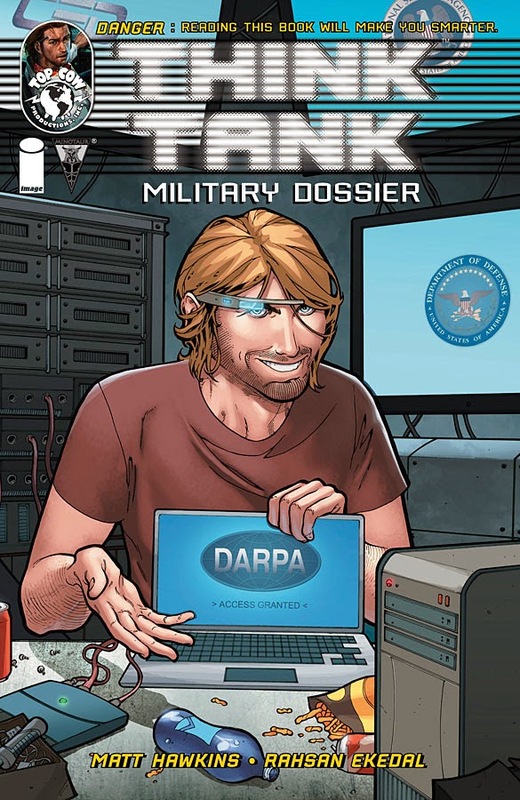 Creators of "Think Tank," a monthly comic book about a super-genius young technologist and his battles from within the U.S. military-industrial complex, this week delivered a one-shot special issue titled "Fun with PTSD." Published by Top Cow Productions, Inc. via Image Comics, the issue serves as a coda to the black-and-white series' initial 12-issue run. The series will relaunch in July as a full-color version. Think of it as a second season, similar to a TV series, in which the characters will continue in all-new stories. 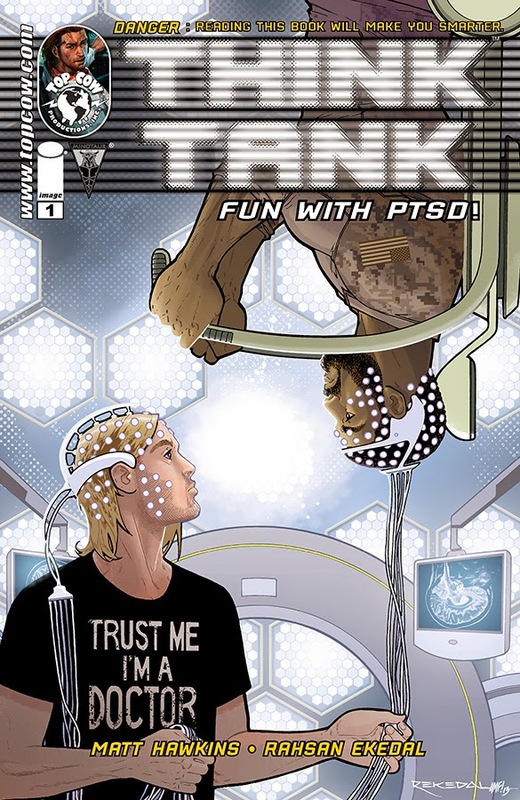 Co-creator and writer Matt Hawkins reportedly came up with the "Think Tank" concept when his son told him that science was boring. Each issue even bears the warning: "Danger: Reading this book will make you smarter." Together with co-creator and artist Rahsan Ekedal, Hawkins has consistently presented challenging tales of morality and militarization, with gritty stories informed by today's technology forecasts. Among other items, for example, past issues have featured submersible drones, high-tech camouflage suits, and genetically targeted weapons. As a bonus, each comic book typically features a number of text-only editorial pages, which point readers to additional references regarding the real-world, bleeding-edge technologies introduced in its stories. 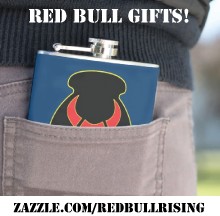 Think "Tom Clancy meets Danny Dunn" and you're in the ballpark. PTSD. Post Traumatic Stress Disorder. A brain injury caused by exposure to or experiencing traumatic events. These are common in combat situations. Less than half the men and women with combat related PTSD see treatment because of a perceived stigmatism of weakness associated with it in military culture. It's difficult for elite soldiers like Navy SEALs to admit they have a problem. They're trained to control their minds, to be calm in the face of extreme pressure. The issue also includes 6 pages of "Think Tank" tech talk, and a 3-page teaser story for the next season. Some 10-pages of the issue is a preview of "Wildfire," a new tech-thriller about modified-plant genetics. The latter is also a bit talky, but, like "Think Tank," may grow on some readers—particularly those engaged by edgy predictions of the near-future. Myth: People with PTSD cannot tolerate the stress of holding down a job. For all the chewy facts and myth-busting, however, the comic pages themselves are a bit fuzzy on the details, potentially conflating Traumatic Brain Injury (T.B.I. ), PTSD, and military veteran suicide. All are very real problems, and may have some overlap or relation to one another. Casual readers—the ones who skip over Hawkins' discussion points—may be left with the impression that they are all directly related, and probably causal: that TBI begets PTSD begets suicidal thoughts and actions. I'm not an expert, but I'm not sure that's the case. Readers may also be left with the impression that PTSD could someday be cured by some sort of techno-magical targeted brain-rebuilder. There is no magic bullet, no pill, no therapy or treatment method that works for 100 percent of veterans diagnosed with PTSD. Everyone has their own war, and their own roads to recovery. That's why research and education continue to be so important. 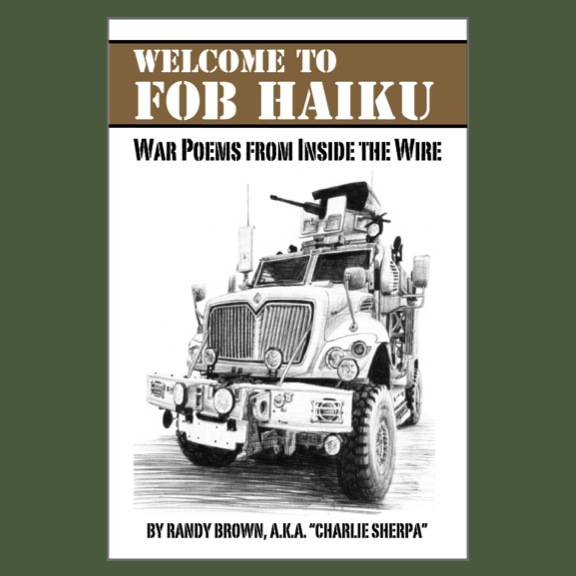 Finally, given the melodramatic storyline, "Think Tank" readers may conclude that all military veterans are somehow mentally broken, "ticking time bombs," or former- or future- murderers. 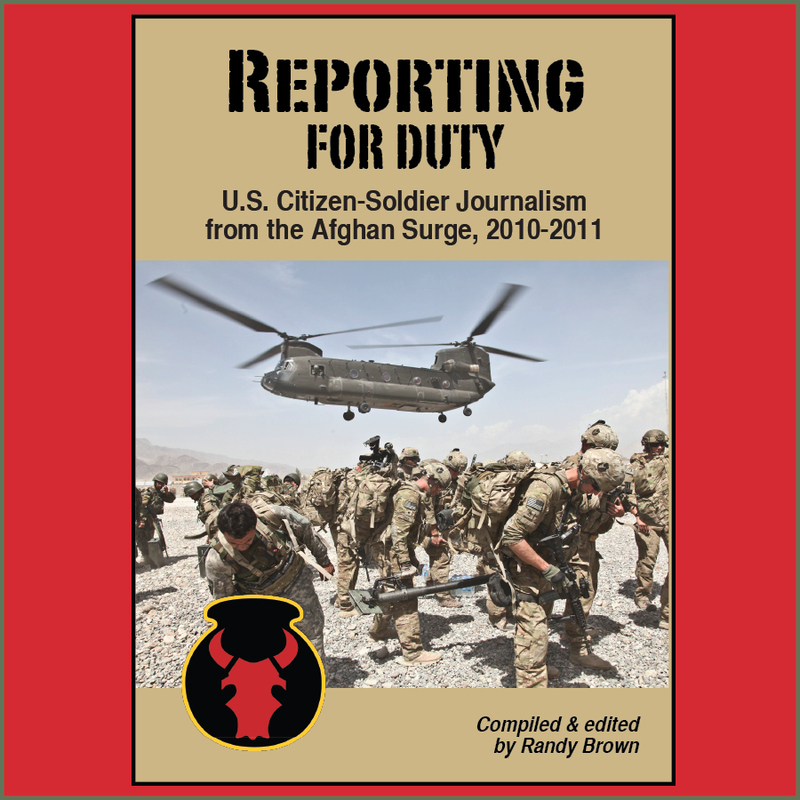 Such characterizations and stereotypes are themselves drivers of the stigmatization some veterans feel regarding mental health status, not only in military environments, but in today's news media. Still, it's commendable that Hawkins and Ekedal have lobbed a reasonably informed—and informative—wake-up grenade at their readers. War isn't always easily addressed through technology, and neither are its after-effects. Sending the fictional scientist David Loren on an exploration of PTSD was a creative risk worthy of reward and recognition ... and continued conversations by its readers. The "Think Tank" series has been collected in three hardcopy trade paperbacks: Volume 1 , Volume 2 , and Volume 3 . Single issues, one-shots, and collections—including the recent "Fun with PTSD" special—are also available in digital formats via Comixology here. A free PDF sample of Think Tank No. 1 is available from Top Cow Productions here.